With digital menu boards being so technologically advanced, almost anything is possible. Social Media Integration is at the top of that list. Many businesses are finding that having multiple platforms of social media and keeping those accounts up to date is becoming more and more important. Not only is it an effective way to advertise and connect with current customers, outsiders also turn to these platforms to view how these businesses interact with their customers. They want to see customer reviews and comments, also how quickly and well the business reacts to these interactions. Digital SignageToday states that 84% of people using social media trust peer content over brand content. Here at Menuat, we offer social media integration to your menu. Having great customer comments displayed right on your menu! Check out S’macks Burgers & Shakes integrated menu! 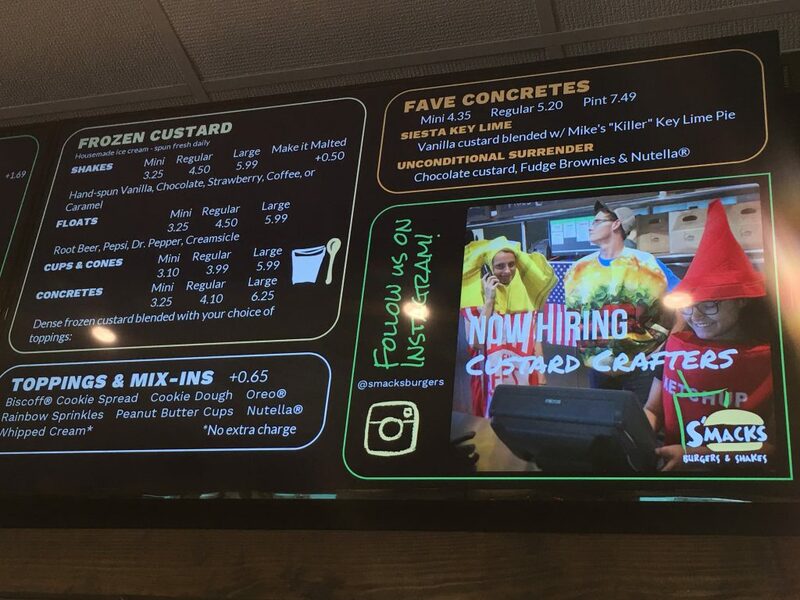 This entry was posted in Digital Menu Board, Digital Signage, Menu Design, Menuat, Software, Technology. Bookmark the permalink.